Forty-six years ago diving and spearfishing became my primary focus in life. It was the early seventies and for the last couple of decades, spearfishing had been the most exciting thing happening around coastal towns throughout the United States, Europe, South Africa, Australia, and more locations. In the middle fifties, some spearfishermen became icons and were publicized like NFL stars. 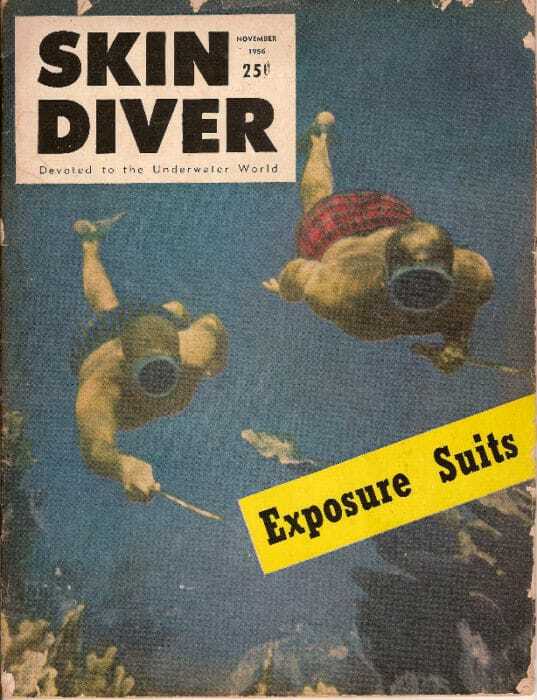 By the sixties and seventies, most diving gear companies also produced or sold spearfishing gear. Spearfishing was red hot! Looking back, it never ceased to amaze me after this period of rapid growth, that a big part of the diving industry would almost totally abandon spearfishing, the very activity responsible for driving most new customers to the sport. By the early eighties, many took a new direction depicted by the popular slogan, “Take Only Photos and Leave only Bubbles,” and industry leaders like Scubapro, US Divers [Aqualung], Dacor and many smaller companies, stopped producing or distributing spearfishing equipment. 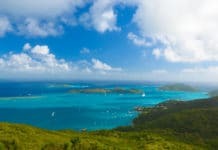 The surge of resort dive travel and liveaboard diving was expanding and many that once catered to spearfishermen suddenly stopped. Shark diving experiences appeared, some by former spearfishing charter boats, and they found the shark dive charters to be higher profile and more profitable, with much less effort. Tech diving was also gaining popularity with scuba divers so fewer ventured into spearfishing. 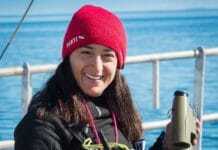 Of course, recreational and commercial hook and line fishing organizations didn’t like competing with spearfishing, so they cast a negative viewpoint on the sport and lobbied to abolish it where ever possible. Spearfishermen became the black sheep in many parts of the world. It has taken decades for significant interest to come back to the sport, which has been driven mostly by the rise of freedive training since about 2000. Today social media is full of photos and videos of spearos and their prey, some on scuba, but dominantly while freediving. Baby Boomers like me, who wanted to get started spearfishing, visited a dive store and bought a speargun, then went out and shot it with absolutely no training. After limited to zero success, most of us found a mentor or two to question about how they speared fish and best of all, some of them took us diving! There was nothing better at the time than to follow an experienced spearfisherman around and pick up some tricks of the trade. There were no spearfishing certification courses at dive shops, only Basic Scuba, so a buddy and I took that course from an instructor at our shop that catered to spearfishermen. Later I dove with a couple older guys for a while who helped get me started in spearfishing. It was 1977 when I became a National Association of Skin Diving Schools (NASDS), Open Water Scuba Instructor, that I really stepped up my spearfishing abilities. After a few years teaching and working in my local dive shop, I sent in an outline and training content and was soon awarded my distinctive specialty spearfishing instructor certification. I taught quite a few divers to spearfish since those days. I also taught scuba with SSI, TDI & SDI, and finally PADI over a period of 37 years. Most of the instructors who taught spearfishing like me were also competitors in scuba and freediving spearfishing tournaments and rodeos. There were no freediving certifications in those days in the USA, but I taught freedivers under the skin diving categories of my scuba instructor agencies, and also taught them to spearfish. In 2003 I took a PFI Advanced Freediving Course, but it wasn’t until 2014 that I was certified as a Level 1 Freediver and received my first C-card from FII. Today spearfishing certification classes are still sparsely available. I researched the major scuba training agencies and found only Scuba Diving International, (SDI), my present instructor certification, which has an Underwater Hunter/Collector Diver certification. NASDS merged into SSI, but spearfishing training was no longer offered. I know some PADI instructors who still have their distinctive specialty spearfishing certifications, but PADI no longer offered it when I became an instructor with them in 2013. Freediving spearfishing courses have been available at a few AIDA training companies for a while, and it’s my guess that they are also distinctive specialty certifications.  Finally, in 2016 two freediving certification agencies formed spearfishing certification courses. Freediving Instructors International (FII), presented their new FII Spearfishing program and textbook at The Blue Wild Expo in April of 2016, In Fort Lauderdale, Florida. In June of 2016 Spearfishing Academy International (SAI), in Greece, launched their spearfishing program. Both of these agencies also train instructors, so their courses will become more widespread as they grow their instructor bases. The first FII Spearfishing course was taught at Florida Freedivers in North Palm Beach, FL in the summer of 2016. Jonathan Dickinson, owner and head instructor at Florida Freedivers, became an FII Spearfishing Instructor post haste, and immediately began teaching courses to his customers and staff. I could not pass up taking an official spearfishing course, so here’s my review. The textbook “FII Spearfishing” is very impressive. It was written by John Dornellas, Cameron Kirkconnell, and Martin Stepanek, all of which also supplied photographs, as well as John Dornellas and Pablo Beronda included their drawings. 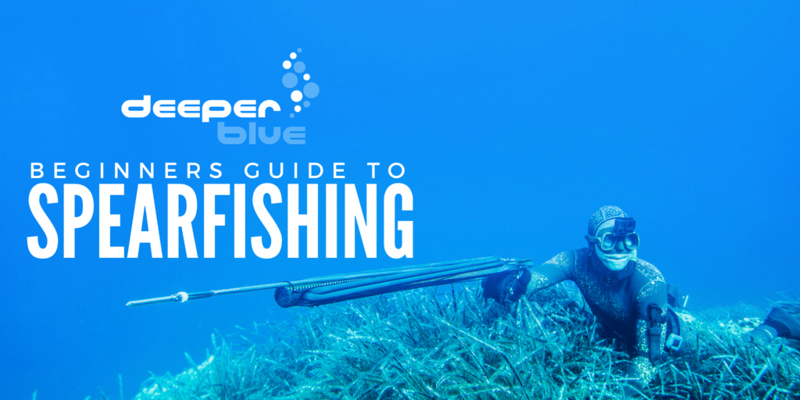 It covers spearfishing ethics, a fair amount of freediving safety and location safety specific to spearfishing sites. Spearfishing gear, and how to use it, covers the largest portion of the book, and an ample section of pure hunting training rounds out the 162 pages. Jonathan Dickinson, the owner of Florida Freedivers in North Palm Beach, FL, taught my FII Spearfishing course. He is an excellent instructor and highly experienced spearfisherman, almost exclusively while freediving nowadays, but once in a blue moon he straps on a tank and shoots some nice fish and collects some lobster with his dad, John Dickinson. This freediving only spearfishing course consists of a half day in the classroom and a half day of pool training with very special spearguns made by Riffe International, which have all of the features of a normal spearguns except one – their spear shafts are solidly bolted to their mechanisms and muzzles, so they can be loaded and handled for training, even in a public pool, but there is no chance of one of these spearguns ever firing. Our guns were 75 centimeters / 30 inches in length, a small size I have not handled in decades, which surprised me as being trickier to handle than my bigger guns from 110 centimeters / 44 inches to 150 centimeters / 60 inches. We also had a simulated reef at the bottom of the 17ft. deep pool to use for practicing hunting styles and a heavy foam fish suspended from the bottom by lines and a weight. The FII Spearfishing certification is earned after these two sections and a written test, but also has the option of including an additional day of diving in the ocean for real spearfishing. Unfortunately, our weekend in November was blown out by a serious cold front, so we missed that opportunity, but having spearfished with Jonathan in Florida and the Bahamas, I can vouch for his abilities as a freediving instructor and spearfisherman. This course will be appreciated by novices and seasoned freedive spearos because of the completeness and depth of the knowledge being passed down from some of the best spearfishermen in the sport. The entry-level scuba spearfishing course I have taught for years, from the early days with NASDS, and since 2000 with SDI include classroom training with my high-resolution photos of camouflaged fish hiding in reefs and around wrecks, with many real spearfishing stories. Next follows gun handling with simulated spearfishing, (with unloaded guns), shaft and line replacement, fish stringing and kill-knife fish dispatching techniques. Spearfish training and firing at targets, if allowed in pools, and with real ocean shooting for real fish, if they show up, or targets if they don’t. I have also taught advanced level spearfishing for moderately seasoned spearos to depths of 132 feet / 40 meters. I coined my own personal favorite course, “Technical Spearfishing”, for divers who want to pursue big fish to depths beyond 132 feet / 40 meters and out to approximately 200 feet / 60 meters. 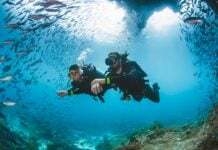 Advanced Open Water Scuba is also available with me through SDI, and Technical training such as Advanced Nitrox, Decompression Procedures, and Trimix Diving are available through my TDI Instructor Certifications. Remember, you have to be a good diver before you move on to spearfishing, and all spearfishing training requires certification in the diving method of choice, freediving or scuba, and with the level of training for the appropriate depths.